Since 1976 when the U.S. Supreme Court reinstated the death penalty, 1,448 death-row inmates have been executed. That number is scheduled to jump by seven next week if all of Arkansas’ scheduled executions occur. It’s not that Arkansas is especially eager to execute those sentenced to die for their particularly heinous crimes by its judges and juries. It’s a peculiar happenstance regarding the drugs employed, in this case the sedative midazolam. Drug makers have proven increasingly reluctant to supply the toxins to states. Arkansas has an adequate supply for these executions, the first in 12 years. But each drug by law carries an expiration date. Arkansas’ midazolam supply expires at the end of this month. With new supplies uncertain, a reluctant Gov. Asa Hutchinson had no legal choice but to sign all the required death warrants to be imposed between April 17-27. 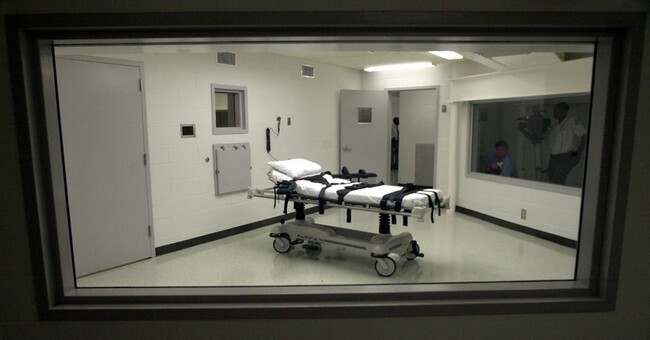 Modern-day death penalties have in many cases become controversial and expensive. Sentence appeals are costly with the state often paying for both sides. The legal cases go on for years, sometimes lasting longer than the lives of the dead victims. These Arkansas cases occurred last century. Media execution coverage, typically years after the murders and trial are long forgotten, focuses on the lone inmate awaiting doom alone in a cell, receiving a last meal, religious counsel if desired and the short walk to straps on a gurney in the execution chamber. They also cite cases of botched executions. Lost are the gory details of their lethal crimes, the blood, torture and/or rapes whose gruesome photographs and appalling details were heard in courtrooms but are censored from news coverage for reasons of taste. Executions by lethal injection, however, are usually strangely sedate events. To be sure, they’re grim procedures but far more peaceful than the brutal crimes they represent. Before a small crowd of victim relatives, court and state officials, defense attorney and a media pool, the sentence is read aloud. An open telephone line to the governor’s office is nearby. The inmate receives an opportunity for a final statement. The injections are delivered through plastic tubes in the inmate’s arms, typically from two prison employee volunteers in an adjacent room. Neither executioner knows whose injection is the lethal one. Standard chemicals include a mild sedative, a stronger one and a heart-stopping toxin. The execution chamber is silent, save for an inmate cough about two minutes in. After five to seven minutes, a doctor checks for a heartbeat and pronounces death.